Music licensing is an important factor in dressage to music. Ensuring songwriters, composers, musicians and music producers are correctly paid for the use of their music is critical to maintaining the reputation of Freestyle Dressage to Music. This page hopes to clarify music licensing and the part it plays in dressage to music. 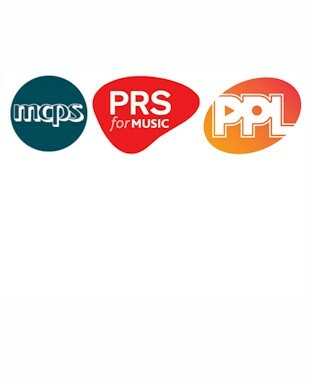 PRS for Music is a collecting society which songwriters, composers and music publishers become members of in order to get paid for the use of their music. PRS for Music collects licence fees from anyone that uses music for a business benefit, and then pays royalties to music creators in the UK and around the world. MCPS also represents songwriters, composers and music publishers, but collects royalties on their behalf whenever their music is reproduced for products such as CDs, digital downloads and musical toys. PPL licenses recorded music played in public or broadcast and then distributes the licence fees to its performer and rights holder members. In terms of music copyright, there are people who write and publish songs and musical compositions, and people who perform and produce recordings. PRS deal with the former, while PPL deal with the latter. Wherever recorded music is used for public purposes it is likely that a licence will be required from PPL in addition to one from PRS for Music: separate payments for the use of separate rights. A venue where dressage music is taking place should have a PRS licence, which is a license to play music in public. British Dressage (BD) has an agreement/licence with PPL which allows music created by PPL members to be used for BD affiliated dressage competitions. This ensures that PPL members get paid for their music recording being used in dressage to music routines. This also covers affiliated British Riding Clubs (BRC) and The Pony Club for dressage to music competitions. All competitors must agree to the BD PPL licence agreement by signing a sub-license agreement. As a full BD member you are covered for competing in Dressage to Music once you sign the sub-license agreement. You can join BD as just a music member which allows you to compete in BD affiliated, BRC and Pony Club dressage to music competitions to do this you would may a music membership fee to BD and sign the sub-license agreement. We provide you with all the paperwork you require to adhere to the BD PPL Licence and once this has been sent to BD, BD will then issue you with labels to stick to you music showing that your music is correctly licensed. We have a license with MCPS which allows us to produce music tracks for dressage to music routines and copy them to CD or other media for you to use in dressage to music competitions. The cost of this is borne by us. Anyone creating and distributing music other than the copyright holder must have a license with MCPS if they do not then they are in breach of copyright laws.